Summer is approaching, and with it comes the usual clouds of flies, mosquitoes, gnats and other pests. If you like camping, hiking, and other outdoor activities – or even just enjoy sitting on the deck relaxing with friends on a warm evening – you probably know from experience the way these insects can disturb even the most idyllic of settings and occasions. 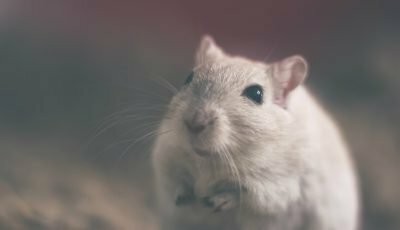 If you own dogs, or even horses and ponies, you’ve probably seen how your pets too can be driven to distraction by the relentless attacks of these pests. Fortunately, there are now many products out there that enable you to beat back the insect hordes and restore peace to your outdoor domains. One of them is a good insect repellent. These devices make use of chemicals – many of them now all-natural and eco-friendly – that naturally repel flies, mosquitoes, and other pests – or in some cases kill them outright. You either apply them to your skin as a lotion or spray into the surrounding air as a vapor. If you want to avoid getting harassed and eaten alive by insects this summer, then an effective fly repellent will be one of the essential weapons in your anti-insect defense arsenal. A fly or insect repellent is a substance that you apply onto your skin, or spray into the air surrounding it, and that deters flies and other insects from alighting there and biting you. Some of them simply repel bugs, others are constituted such that they kill them outright. 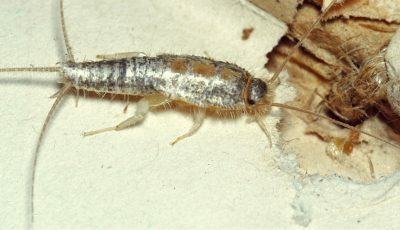 What insects are they effective against? Some repellents work only against one form of insect – flies or mosquitoes, for example – whereas others provide general, all-encompassing protection against bugs in general – not just flies and mosquitoes, but also gnats, lice, ticks, fleas, spiders, cockroaches and more. Insect repellents are available in the form of sprays, lotions or creams, gels or roll-ons. Spray-on is the most popular form of repellent, the first choice of many because of their convenience and ease of application. Lotions, creams or ointments in the form of an ’emulsion’ of water and oil are another options: the difference between them is that ointments are 70% or more oil, lotions are 70% or more water, whereas creams are a balanced mixture of both. Cream-based fly repellents are useful in situations where you want to precisely control the area that the insect repellent gets applied to. One disadvantage they possess is that they can be greasy and create a mess. This is especially true of ointments and creams: lotions, on the other hand, have a much higher water content, and so are more readily absorbed by the skin, leaving less residue behind. Roll-ons also deliver targeted protection. If you want to apply repellent to a specific spot where a spray would not be a good option – such as your face – then a roll-on repellent is a good option. Another advantage of roll-ons is that there is no mess and they don’t get your hands dirty. To get the best results from your insect repellant of choice, and to avoid unpleasant side effects including eye or skin irritation, correct use and application are very important. First, apply your repellent only to exposed areas of skin – or clothing – never under the skin. Use only what is necessary to cover you and for the period of time required; applying more repellent than is required won’t protect you any better, and will increase the chances of side effects. Also be careful not to apply over areas of broken or irritated skin. In particular, if you are applying repellent to your face, be sure to spray it first onto your hands, then rub it onto your face, avoiding, of course, to put it in your mouth or eyes – also try to keep it away from your ears. For the same reason, you should apply your children’s fly repellent for them, rather than allowing them to do it themselves. Keep it away from food also, and wash your hands after applying the repellent, and before you eat or drink. When you are finished with your outdoor activities for the day, wash the treated areas of skin with warm water and soap – and be sure to wash treated clothing separately. Remember, always follow the directions for usage included with your product, and you shouldn’t have any problems. A good fly or insect repellent is definitely an essential companion to take with you when you hit the great outdoors this summer. The market is now over-loaded with such products, however, and they vary greatly in terms of their quality and safety, so finding the right one for you may seem like a bit of a ‘hit or miss’ process. But that’s where we come in! We’ve done the research and come up with our list of what we consider the best fly repellents currently out there on the market. Let’s take a look at the cream of the insecticide crop, then. Avoid being harassed and eaten alive by flies, mosquitoes and other insects this summer with The Yellow Bird’s all-natural insect repellent. 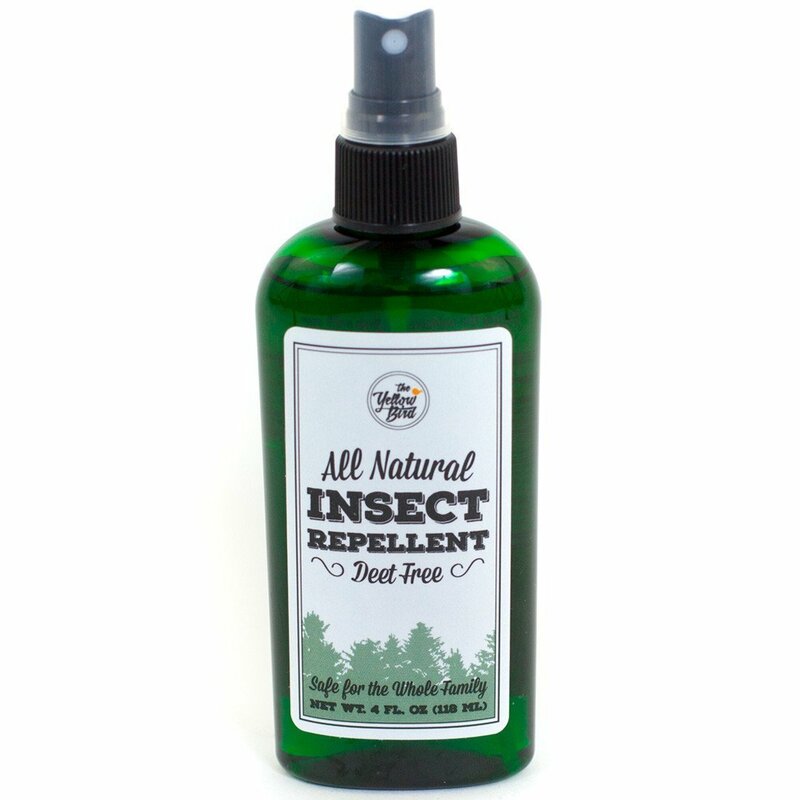 This product is completely DEET-free, the active ingredients contain all-natural essential oils only, so if you are looking for an eco-friendly, child- and pet-safe insect repellent, then you can’t go past the folks at Yellow Bird! Effective against flies, mosquitoes, gnats and other airborne pests that inhabit your favorite outdoor haunts, this product also leaves an attractive aromatic scent behind it, making it a more pleasant option than many of the synthetic insecticides out there. It comes in the form of a spray, so you simply spray it on your skin or clothes and are good to go. No residues or strains to clean out of your clothes and equipment afterward. Long lasting protection is guaranteed with this product also. Say goodbye to toxic, DEET-containing fly and insect repellents with this all-natural offering from The Yellow Bird. Eco-friendly and human-friendly – but definitely not pet-friendly! this fly repellent will keep flies, mosquitoes, and other pests away from you this summer no problems. Well and truly recommended. 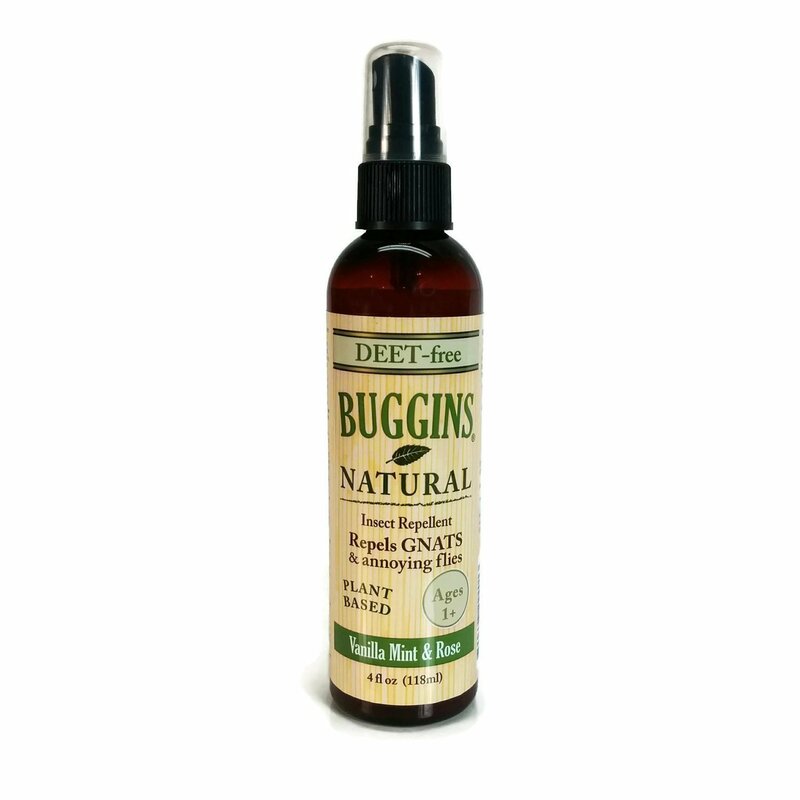 Repel flies, mosquitoes, gnats and other pests this summer, and do it all using all-natural, non-toxic ingredients, with this fine insect repellent from Buggins. This product is completely free of DEET and other toxic chemicals, the active ingredients are comprised of 100% plant-based materials including peppermint, lemongrass, clove, and geraniol – all very fine, natural insect repellents. Protect not only yourself but the environment as well when using this little product! It’s safe to use around children and pets also, another plus. And it even leaves a pleasant fragrance at the same time as it ruthlessly beats back the hordes of flies, mosquitoes and gnats assailing you whilst out camping, hiking, enjoying a barbecue in the backyard, and the like. This Buggins fly repellent delivers long-lasting protection (at least two hours before you need to re-apply it), and there is no greasy or oily residue to clean up and out of your clothes and outdoor gear afterward. Whether you enjoy camping, hiking trips, or just relaxing out on the deck with friends in the evenings, you want to be well protected against flies, mosquitoes, and other pests – and this product from Buggins will enable you to do precisely that. Completely DEET-free, it relies on 100% all-natural ingredients only. This is a fly repellent that ticks all the right boxes. If you want to keep flies away from this summer, this is one of the best options out there without a shadow of a doubt. Go out and grab one for yourself today. An oldie but a goodie. This is a remake of one of America’s very first fly repellants, and despite its age, this is one of the best products of its kind around. Completely DEET-free, this classic Fly Dope contains ONLY natural, non-toxic ingredients, which despite the marketing hype are every bit as effective as any synthetic insecticide at beating back the insect hordes – whether it’s flies, mosquitoes, gnats, chiggers, or others. It’s also free of greasy or oily residues with no mess to clean out of your clothes and camping equipment afterward, and the smell is at least neutral rather than overwhelming like some of the other insect repellents out there. Eco-friendly and all-natural, this is a great product for those of you concerned about environmental issues. And for the exact same reason, it is exceptionally safe to use around or on children and pets. Go retro with Ole Time Woodsman’s unique Fly Dope formula, this product is completely free of harmful, toxic chemicals, and is all around one of the safest options out there for protecting you and your loved ones from flies, mosquitoes and other pests this summer. The older products are not necessarily inferior! It’s well worth the investment of time and money. 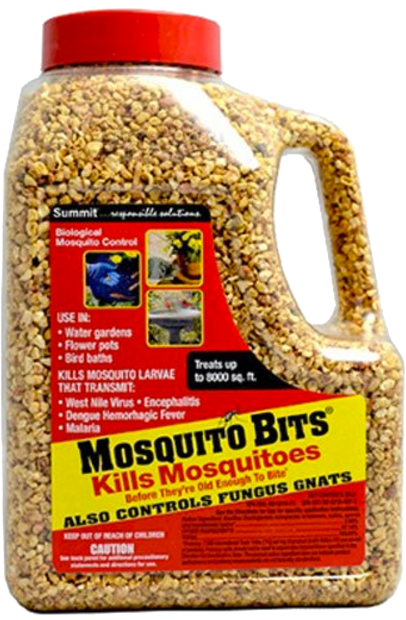 Don’t allow flies and mosquitoes to ruin your summer. 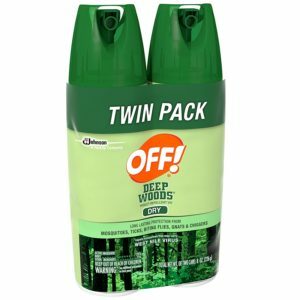 Protect you and your loved ones with the Off!Deep Woods insect repellent from SC Johnson, this is one of the most effective and economical bug repellants out there. 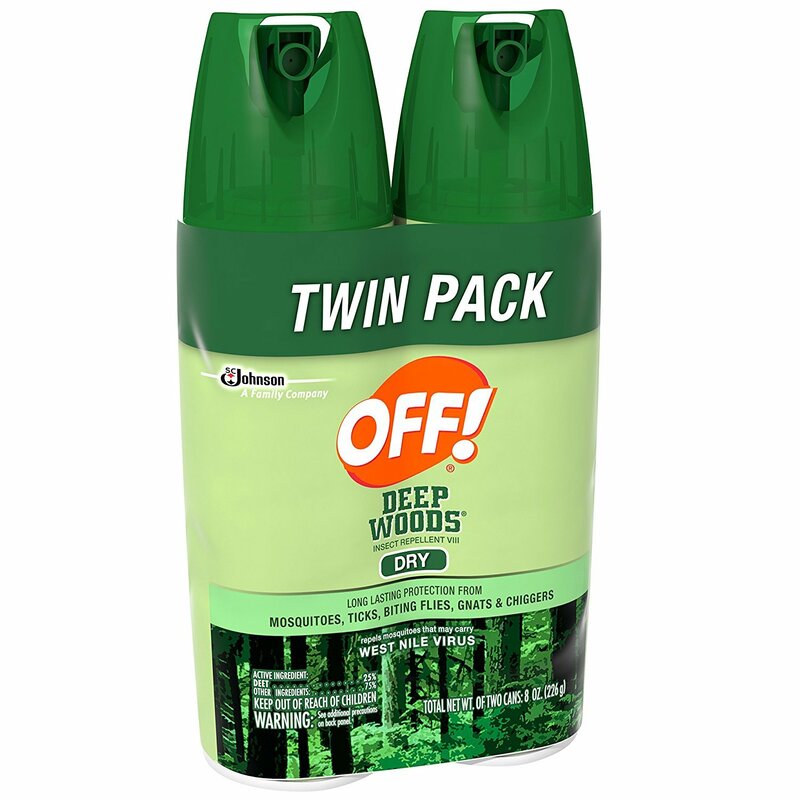 Effective against a wide range of insects, including flies, mosquitoes, gnats, ticks, lice, fleas and more, with the Off!Deep Woods insect repellent you’ve got one of the most comprehensive, broad-ranging repellents out there in terms of what it protects you against. It contains DEET as it’s active ingredient, so naturally, you can be sure it is one of the strongest insect repellents out there. Despite its strength, though, this product is still safe to use on children – be sure to apply it to them, though. This house fly repellent also feels comfortable and immediately dry when applied to your skin, no greasy residue or mess to clean up or out of your clothing afterward. In summary, enjoy the great outdoors this summer without worrying about being hassled by flies, mosquitoes, gnats and other pests, the SC Johnson Off!Deep Woods insect and fly deterrent will ensure these pests steer well clear of you and your loved ones. It’s one of the best products of its kind out there today. DEET active ingredient makes this one of the strongest insect repellents out there, protects you against all manner of outdoor pests, nothing will make it’s way past it! 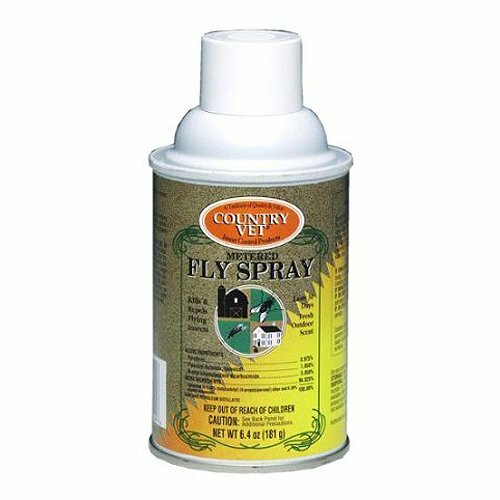 Kill flies, mosquitoes, gnats and other pests outright with this product from Country Vet, it is one of the strongest insect repellents out there on the market today. 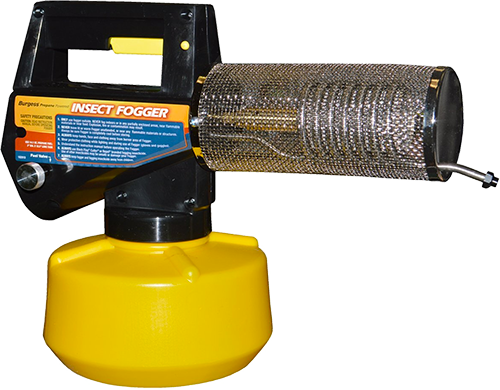 Simply mount the can inside your automatic spraying device, and it will create and maintain an impenetrable cloud of insecticide vapor past which the flying pests can’t make it. Two cans are included in this pack, and the formula is designed to last for 30 days before replacements are required. The permethrin active ingredient makes this a much more environmentally sound outdoor fly repellent option than some other synthetic insect repellents out there, and it is also a very safe option to use around your children and animals. Because this fly repellent product is designed to be sprayed into the air, instead of on your skin, there is no residue or grease to clean up afterward. Your backyard or campsite will be a completely insect-free zone after the ZEP fly killer from Country Vet is through with it, go out and grab one for yourself today (two bottles are included in the pack actually). 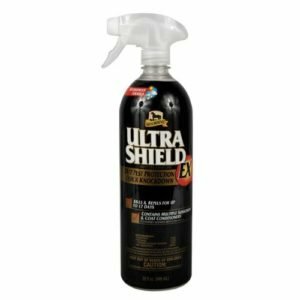 UltraShield EX is a new and improved version of the original UltraShield insect repellent from Absorbine. This house fly repellent product is one of the strongest, most enduring repellent formulas around, it provides up to 17 days of insect control to you and your family. This is because it is fully weather-proof, sweat resistant, and even includes two sunscreens! Not many insect repellents can make that boast. You can even use it on your dog or horses! The UltraShieldEX is effective against all flies, mosquitoes, gnats, and other outdoor, airborne pests. And because the active ingredients are all-natural Pyrethrins (derived from chrysanthemums), along with synthetic Permethrin, as well as Piperonyl Butoxide, this is a very environmentally friendly, non-toxic repellent formula also. Suitable for horses and ponies, and dogs – as well as humans – this is one of the most effective insect repellents out there, grab one for you – or your animals – today. If you want to know how to keep flies away outside this summer, and in a manner that is economical and eco-friendly, then the answer is found right here with this offering from Absorbine. Highly recommended. Go out and grab one for your family today. 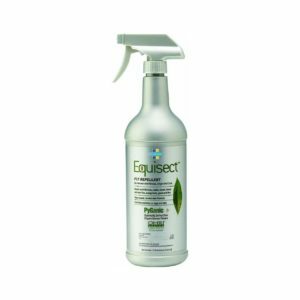 Tried and tested, the Farnam Equisect fly and insect repellant is one fly spray that actually works! Whether it’s airborne pests like flies, mosquitoes, and gnats, or the lice, ticks, and fleas that assail your horse or pet dog or cat, this repellent will handle them all, no problems whatsoever. And for good measure it’s made from 100% all-natural ingredients, the pyrethrum active ingredient has actually been approved by the Organic Materials Review Institute. Other natural ingredients include botanical plant materials and essential oils including citronella, thyme, corn mint, and clove stem. There are NO DEET or other chemicals that are bad for the environment and thought to be toxic to humans and animals contained in this product! 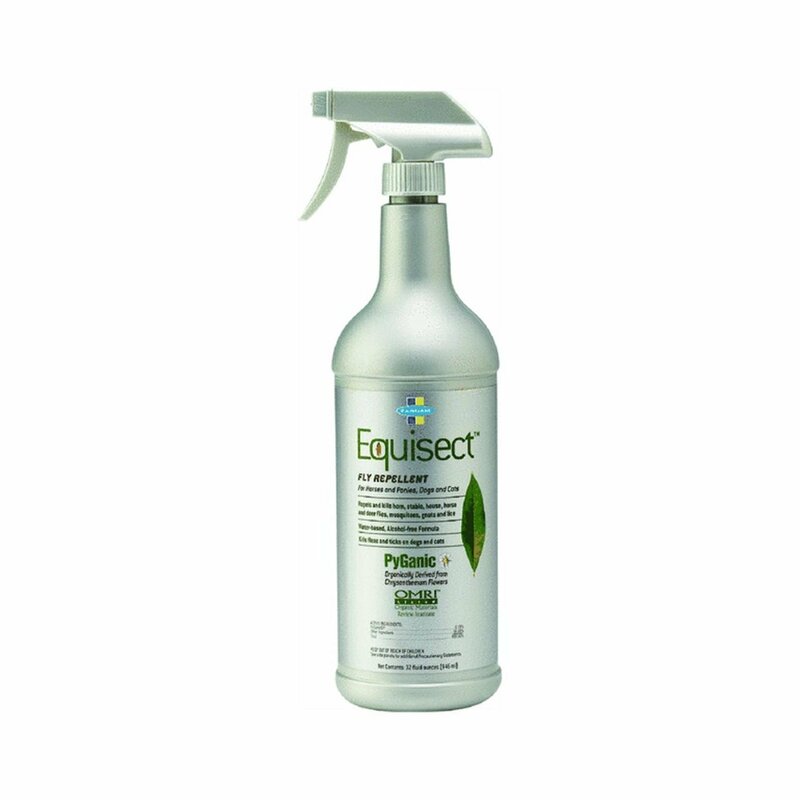 The Farnam Equisect horse fly repellent product delivers long-lasting protection, and there are no odors or messy residues requiring frequent clean-up to deal with – it won’t leave behind a single spot! Your clothes and outdoor equipment will last much longer because of it. Containing all-natural active ingredients, and effective against flies, mosquitoes, gnats, lice and any number of other pests – this is one of the best insect repellents out there on the market today. This fly repellent is a well and truly worthwhile investment. Composed of all-natural essential oils, and 100% DEET free, this is one insect repellent that is safe to use around the entire family. 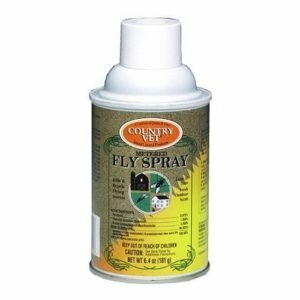 It’s also one of the most effective flies sprays out there as well, protecting you and your loved ones against all kinds of flies, mosquitoes, gnats, ticks, lice, chiggers and more. And because it is made from all-natural, organic oils the Gardencense insect repellent spray is also one of the more eco-friendly insect repellent options out there; and being completely non-toxic, it’s completely safe to use on your children and your pets around the house. It literally will protect you for hours, this is one of the longest lasting repellents out there! There are no odors, no residue and no mess to clean off your skin or your clothes and equipment afterward either. If you want an all-natural insect repellent that is DEET-free, whilst still effective against all the usual summer pests, then you can’t go past this offering from Gardencense, it’s one of the best house fly control products out there on the market right now. 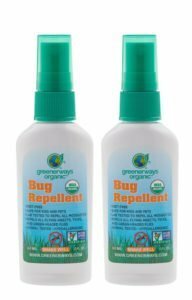 This product from Greenerways is another fine organic insect repellent, it provides long-lasting protection to you, your family and even pets, against flies, mosquitoes, gnats, ticks, chiggers, lice, mites and many more insects. Take it with you when you go camping, hiking, fishing, or even just enjoying a barbecue in the backyard – you name it. It’s derived from all-natural, essential citronella oils, so this is also one of the most environmentally sound insect repellent formulas out there. Despite being DEET free, it is just as effective as any other insect repellent out there. And being completely non-toxic, you can safely use this fly repellent on your children and pets as well. No obtrusive odors, and no greasy or oily residues to clean out of your clothes and camping gear afterward either. If you want an all-natural, child-safe insect repellent that is just as effective as the conventional DEET-containing ones, then you could do a lot worse than choose this offering from Greenerways. Their horse fly repellent is one of the best out there at the moment, take it from us! Last but not least on this list of reviews, we have this fine offering from Good Natured Brand. Completely DEET-free, non-toxic and eco-friendly, this product is completely safe to use on and around your pets and children, it is also your ‘go to’ repellent option if you are concerned about the health of our natural environment. 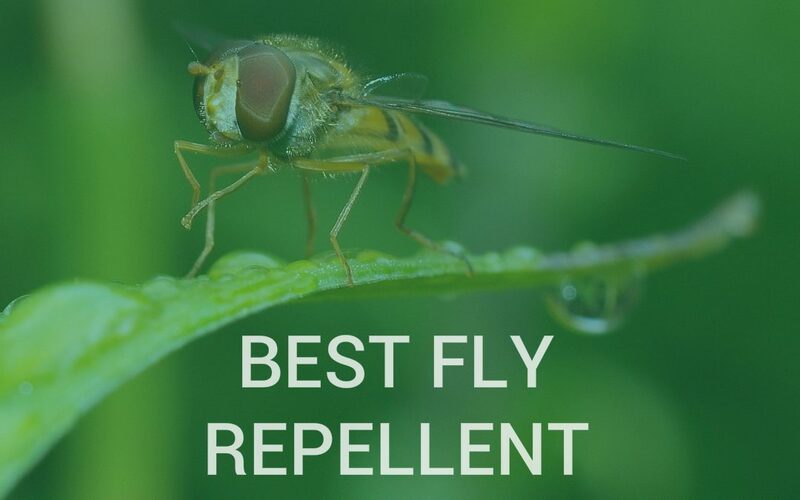 Despite the all-natural, organic oil formula – a unique mixture of citronella, lemongrass, rosemary and cedar oils – this repellent is just as effective as any of the commercial, DEET-containing options out there on the market. It provides long-lasting protection against all manner of flies, mosquitoes, gnats, fleas, ticks, lice and more. No unpleasant odors to contend with, and no mess or greasy residue to clean out of your clothing and outdoor equipment either with this outdoor fly repellent. Take it with you when you camping, hiking, fishing, or even just slap some on when you are out in the backyard enjoying a barbecue with friends. 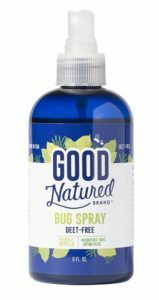 We have reviewed some pretty good fly sprays in this article, and this offering from Good Natured Brand is no exception. It’s a great note on which to round out this list. Well and truly recommended. A good insect repellent is one of your first and best lines of defense against flies, mosquitoes, and other pests. 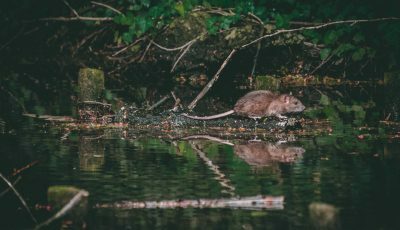 In this article, we have reviewed what we think are the best products of this kind out there on the market today, so if you want to beat back the hordes of pests this summer, get out there and try out one or more of these products for yourself, there are some real winners here.